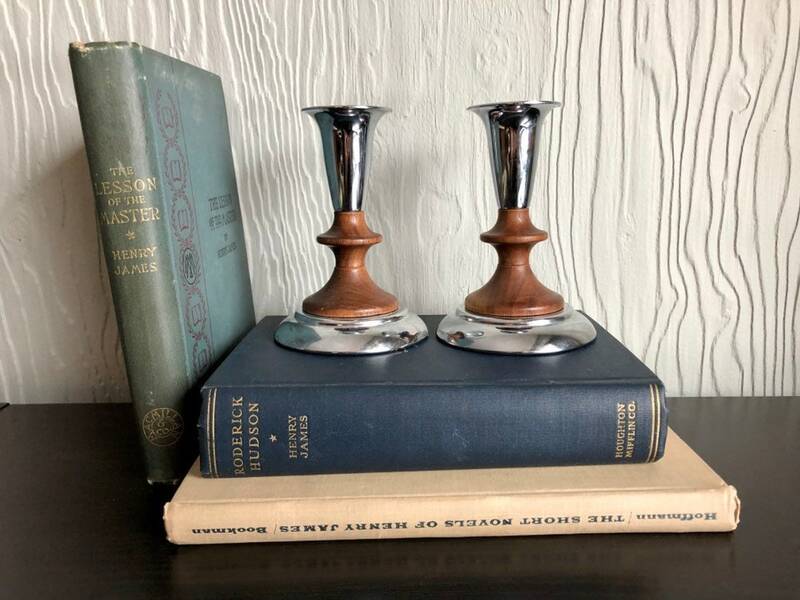 Beautiful pair of Kromex candlestick holders! They are seriously like new -- seems like a candle was maybe in one of them for a few minutes -- do not look ever used! Sturdy aluminum and wood candlesticks, made by Kromex, have a classic mid century shape.